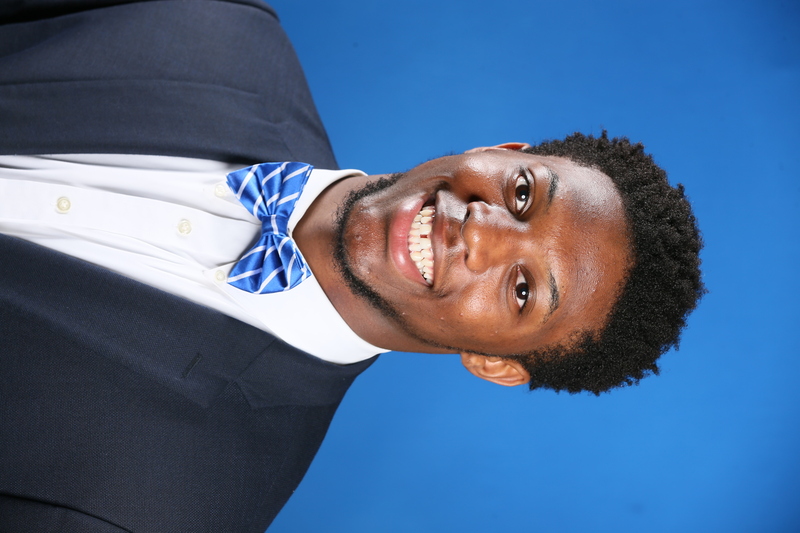 CHARLOTTE, N.C. (FWAA) – Kentucky linebacker Josh Allen was named the recipient of the 2018 Bronko Nagurski Trophy on Monday night before a sold-out banquet crowd of 1,200 at the Charlotte Convention Center. Allen, a 6-foot-5, 260-pound linebacker from Montclair, N.J., accepted the award given to the best defensive player in college football and becomes Kentucky’s first major award winner since Bob Gain won the Outland Trophy in 1950. The FWAA All-America Committee made Allen the selection as this year’s Bronko Nagurski Trophy winner. Allen was selected from a list of finalists that included Michigan linebacker Devin Bush, LSU safety Grant Delpit, Clemson defensive tackle Christian Wilkins and Alabama nose guard Quinnen Williams. The senior has been one of the nation’s top pass rushers all season with 14 sacks in the 2018 season that led the Southeastern Conference and are third in the nation, to go with SEC-best marks of 18.5 tackles for loss and five forced fumbles. His 14 sacks are the single-season record at Kentucky, as are his 28.5 career sacks heading into the Wildcats’ VRBO Citrus Bowl appearance on Jan. 1. Allen has 11 career forced fumbles, which ties former Wildcat and current Chicago Bears linebacker Danny Trevathan for the Wildcats’ career mark. His defensive numbers improved as the games wore on – 12 of his 14 sacks have come in the second half, with eight of those 12 in the fourth quarter. He clinched two of Kentucky’s nine wins this season with a sack that caused a fumble that the Wildcats recovered on their opponents’ final possession. In addition, those 14 sacks have been drive-breakers for opponents. Of the 14 drives in which Allen registered a sack, opponents ran 81 plays for just 211 yards of total offense, or 2.6 yards per play. The 14 drives combined resulted in no points, eight punts and four turnovers. Allen was the SEC Defensive Player of the Week four times this season and posted double-figure tackles in three games. On the season, Allen has 84 total tackles, six quarterback hurries, four pass breakups and two fumble recoveries. 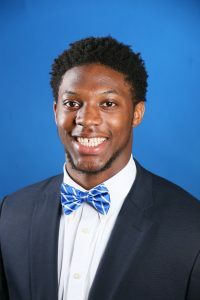 Allen was an all-state wide receiver for Abbeville (Ala.) High School as a junior before moving back to his hometown of Montclair, N.J., and switching to linebacker for his senior season. He bulked up by 40 pounds upon arriving at Kentucky. He has a fraternal twin brother Isaiah, and a sister, Myisha Hines-Allen, who played college basketball at Louisville and is currently a forward for the WNBA’s Washington Mystics. In addition to the 2018 Bronko Nagurski Trophy winner’s announcement, the banquet Monday night celebrated the recipient of the Bronko Nagurski Legends Award, sponsored by the Rolle Oral & Facial Surgery. Tom Cousineau, a 1977 FWAA All-American linebacker at Ohio State and now a College Football Hall of Fame member, was the 2018 Legends Award recipient. The banquet’s keynote speaker was Michigan head coach Jim Harbaugh. The FWAA has chosen a National Defensive Player of the Year since 1993. In 1995, the FWAA joined with the Charlotte Touchdown Club and named the award in honor of the legendary two-way player from the University of Minnesota. Nagurski dominated college football then became a star for professional football’s Chicago Bears in the 1930s. Bronislaw “Bronko” Nagurski is a charter member of both the College Football and Pro Football Halls of Fame. Dr. Richard R. Rolle Jr. is a leading oral & maxillofacial surgeon, with strong ties to athletics and delivering excellence. Rolle Oral & Facial Surgery offers expertise in: dental implants, wisdom tooth extraction, youth-capturing, cosmetic injectables, oral surgery and cleft lip reconstruction in his Lake Norman, North Carolina practice. Dr. Rolle holds a B.A. from the University of Notre Dame where he played varsity football under legendary Coach Lou Holtz. He completed his oral surgery internship at Harvard’s Massachusetts General Hospital and holds a Doctor of Dental Surgery from Meharry Medical College. Rolle Oral & Facial Surgery is the official surgeon for the Charlotte Hornets, Charlotte Checkers and Charlotte 49ers. © Copyright 2019 Charlotte Touchdown Club Inc. All rights reserved.